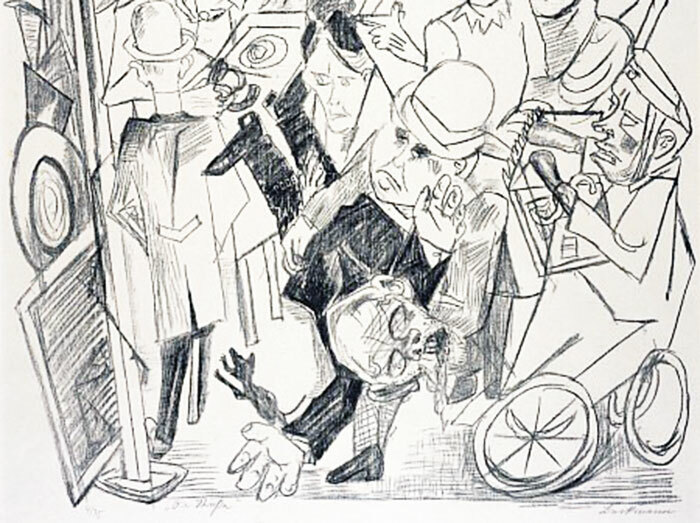 Max Beckmann, detail, The street (Hell) (1919): street organ or wheelchair? I was so thrilled at this story that I was all in a sweat. This was the real thing, whereas we had only been guessing and waiting and subtilizing. The music of the automatic organ was the “conspiratia”; Mukhin’s navy-beans, destroying the mechanics of the class system, were the revolutionary propaganda. “Only how to scramble them, damn them, that’s the problem,” Mukhin said, in a different tone, and looked sternly at me with both eyes. “That’s not navy-beans, is it?” And this time he waited for my answer. From that day we plunged headlong into the work. We had no older men to direct us. Our own experience was inadequate. But not once did we run into difficulties or get confused. One thing evolved from another as inevitably as in our conversation with Mukhin at the inn. 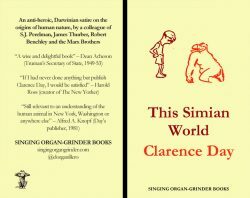 So where does Silvio Berlusconi stand on organ-grinders? Unfortunately Alan Friedman’s excellent authorised bio, My Way, leaves us none the wiser.